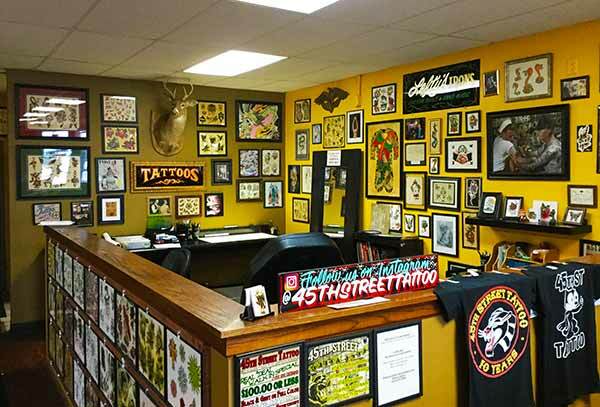 45th Street Tattoo has been in business here in Northwest Indiana since 2007. 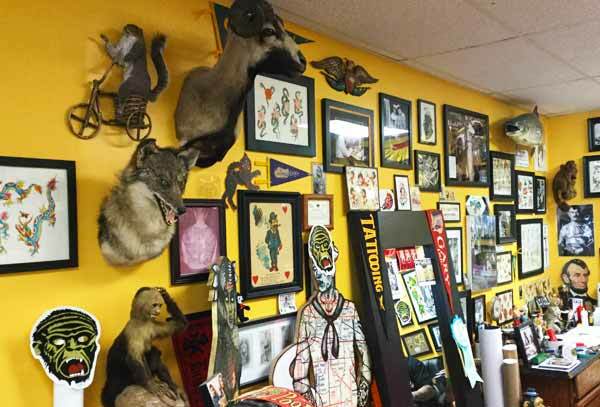 We pride ourselves on being a "Walk-in" style shop, with experienced tattooers known for their custom work. We have done it all and there's no tattoo too big or too small; from a simple design to the full-body coverage, we can accommodate all. Be boast a welcoming and friendly environment and our clientele comes from all walks of life. Our artists share over 75+ years of combined experience, covering a wide variety of styles. All of our tattooers are true artists who paint their own flash (tattoo designs) and their shop walls display many original designs found no where else! We open 7 days week, and our hours are 12pm-8pm. Walk-ins are available every day and we also take appointments. We have thousands of designs to select from or you are free to bring in your own design. If you would like to inquire about tattoo pricing or setting up an appointment, it's best to stop in the shop and speak directly with one of our staff. Combined with our many years of experience, we share a deep passion and respect for the history of tattooing and of those who have come before us. This is reflected in our shared collection of original vintage artwork and tattoo artifacts on display at the shop.